Looking for TWO MASTER SUITES?! Look no further!!! 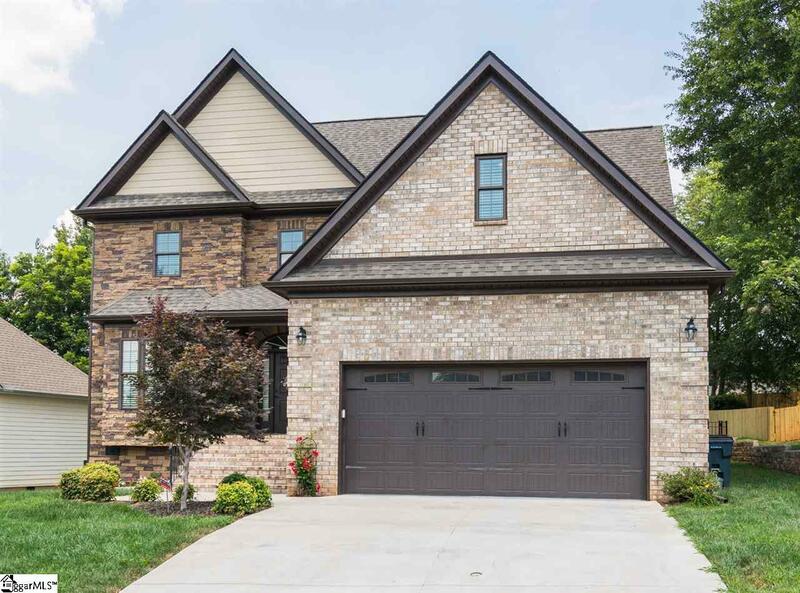 This beautiful CUSTOM home has TWO MASTER SUITES and is located in the highly-desired Simpsonville area. It includes 4 bedrooms, 3 full baths, and 1 half bath plus a bonus room. 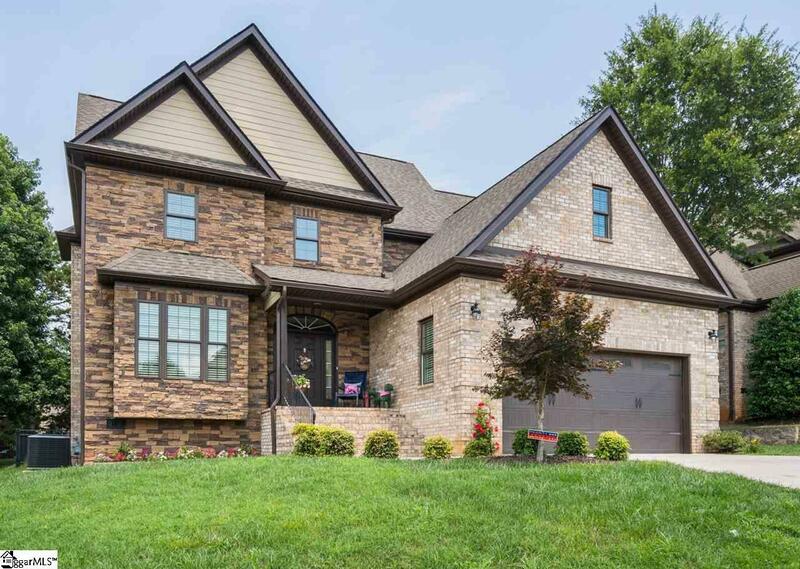 This home greets you with a 2-story foyer that opens up to a formal dining room and great room, which feature hand-scraped hardwoods, crown moulding, and a fireplace with gas logs. The kitchen opens up to the great room and the breakfast room, and features granite countertops, custom cabinets, hardwoods, tile backsplash, and stainless steel Samsung appliances (the oven can also be converted to a double oven). The laundry room is conveniently located downstairs next to the garage with tile floors, lots of counter space, cabinets, and a sink. 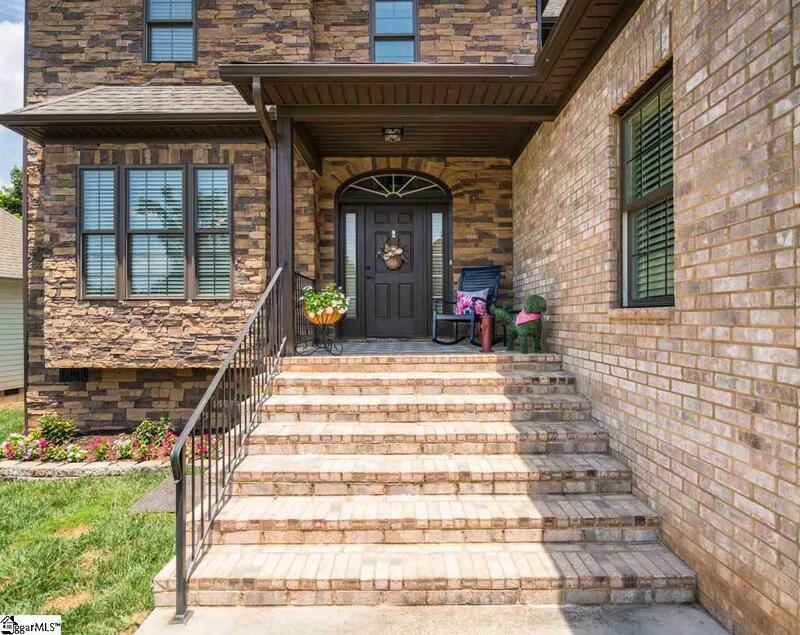 The master on the main level includes a vaulted ceiling, hand-scraped hardwoods, a walk-in closet with built-ins, and a master bath which has tile floors, a jetted tub with granite surround, separate water closet, and double vanity with granite countertops. The 2nd master upstairs features a trey ceiling, hand-scraped hardwoods, a large built-in TV nook, walk-in closet with built-ins, and a 2nd master bath which includes tile floors, double vanity with granite countertops, a linen cabinet, separate water closet, a large walk-in shower, and a clawfoot tub. Rounding out the upstairs you will find 2 additional nice sized bedrooms, a full bath with double sinks, and a bonus room. Never run out of hot water with the Rinnai Tankless hot water system. The screened-in porch on the back of the home will be one of your favorite spots to hang out! This was just added on last yer and the owner did it right! The porch is 21 x 18 with an additional area of 10 x 8, which would be a great dining space where the hot tub is located. The newly installed remote controlled shades keep the sun out & provide privacy. There are 2 ceiling fans with lights to keep you cool in the warm summer months, plus recessed lighting. There is also a neighborhood pool for you to enjoy on those hot summer days! 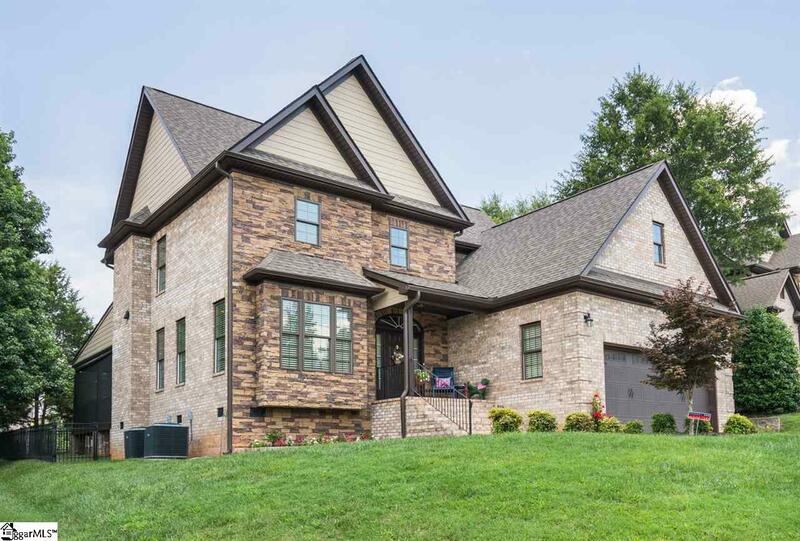 Come see this one-of-a-kind home today you will fall in love!